Jason Grimm is Deputy Director with Iowa Valley Resource Conservation & Development and is the owner and operator of Grimm Family Farm. After providing a wealth of knowledge to help this project get off the ground, Jason will continue to serve as our Production Manager, coordinating all food production at the farm site. Jake Kundert is Food Systems Director with Iowa Valley Resource Conservation & Development. 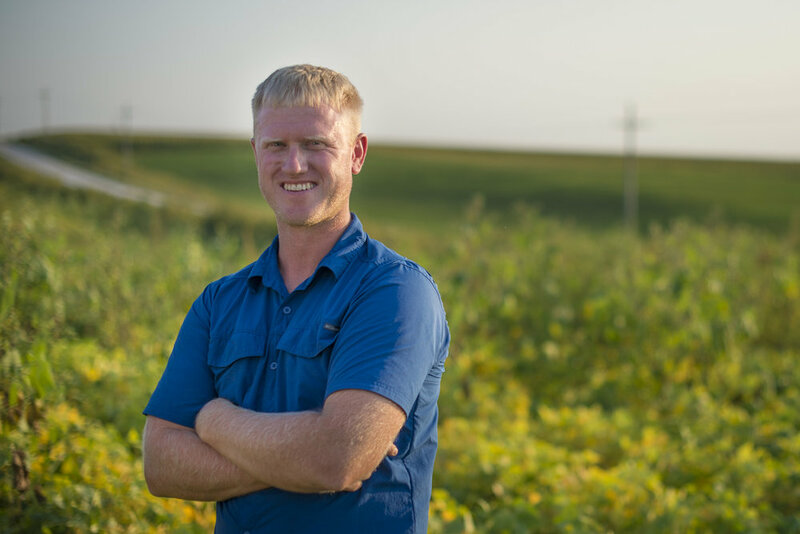 Jake has worked on small and medium-sized fruit, vegetable, and livestock farms and on food-related projects in Argentina, Chile, Peru, Ecuador, Colombia, the Gambia, and Italy, as well as various direct-to-consumer vegetable farms in Eastern Iowa. He has experience leading specialty crop research, farmers market manager training, and food entrepreneurship development. Míchi López (Míchi rhymes with "Peachy") is the Packshed and Distribution Manager with Iowa Valley Resource Conservation & Development. Míchi started with Iowa Valley RC&D as an apprentice for the 2018 growing season. Míchi has a Bachelor's Degree in Chemistry and is passionate about food access, educating volunteers & community members about cultivation and harvest activities, and supporting hunger relief.